Oops, that is confusing: two books by sociologists on the quantified self movement, both entitled “The Quantified Self” and both appearing in April 2016. The first one is by the acclaimed Australian sociologist Deborah Lipton. And now there is this second one, co-written by a sociologist and an anthropologist (both from the USA). People keep track. In the eighteenth century, Benjamin Franklin kept charts of time spent and virtues lived up to. Today, people use technology to self-track: hours slept, steps taken, calories consumed, medications administered. 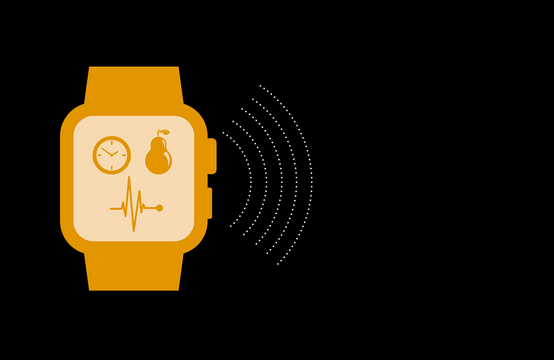 Ninety million wearable sensors were shipped in 2014 to help us gather data about our lives. The term quantified self (popularized by journalist Gary Wolf) refers to how people record, analyze, and reflect on this data, as well as to the tools they use and the communities they become part of. This book describes what happens when people turn their everyday experience—in particular, health and wellness-related experience—into data, and offers an introduction to the essential ideas and key challenges of the quantified self. Gina Neff and Dawn Nafus consider the quantified self as a social and cultural phenomenon, describing not only the use of data as a kind of mirror of the self but also how the quantified self enables users to connect to, and learn from, others. Neff and Nafus consider what’s at stake when we quantify ourselves—who wants our data and why; the practices of serious self-tracking enthusiasts; the design of commercial self-tracking technology; and how self-tracking can fill gaps in the healthcare system. Today, no one can lead an entirely unquantified life. Neff and Nafus show us how to use data in a way that empowers and educates. Gina Neff is Associate Professor of Communication and Sociology at the University of Washington and the School of Public Policy at Central European University. She is the author of Venture Labor: Work and the Burden of Risk in Innovative Industries (MIT Press). Dawn Nafus is Senior Research Scientist at Intel Labs and the coauthor (with Gina Neff) of the MIT Press Essential Knowledge volume The Quantified Self.